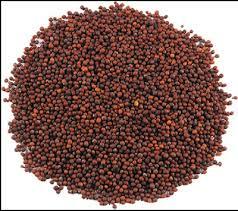 Mustard Seed prices closed lower by 0.71 per cent on Tuesday at the National Commodity & Derivatives Exchange Limited (NCDEX) as a result of the profit booking by the traders on account of the weak crushing and export demand of mustard meal. At the NCDEX, Mustard Seed futures for April 2016 contract closed at Rs. 3,911 per quintal, down by 0.71 per cent, after opening at Rs. 3,930 against the previous closing price of Rs. 3,939. It touched the intra-day low of Rs. 3,892. Sentiment weakened further due to the sluggish export demand as a result of the weak demand for the commodity.